Seven seats as standard along with sliding side doors. Outstanding combination of ride and handling. Good range of low emission petrol and diesel engines. 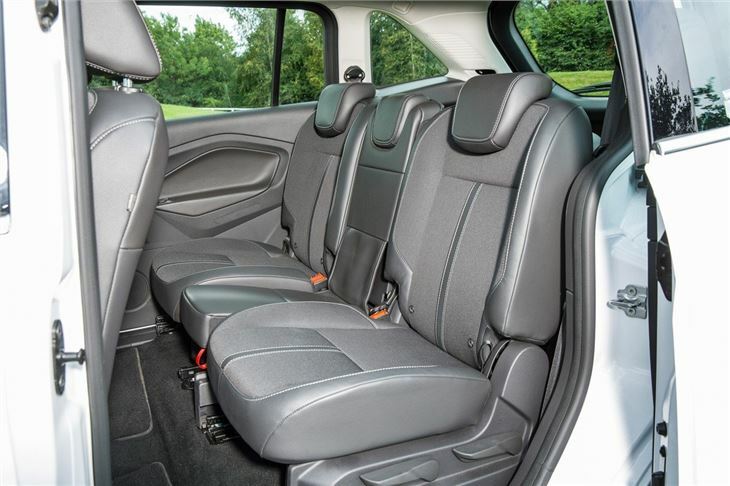 A seven-seater for young families rather than those with tall teenagers. Barely any boot space with rearmost seats in place. Axed from Ford model range April 2019. The Ford Grand C-MAX does exactly what it says on the tin – it’s a C-MAX only it’s grander. That's thanks to a pair of fold-out seats hidden away in the boot floor. Aside from that, it’s all familiar C-MAX, meaning excellent handling, family-friendly practicality and a good choice of engines. 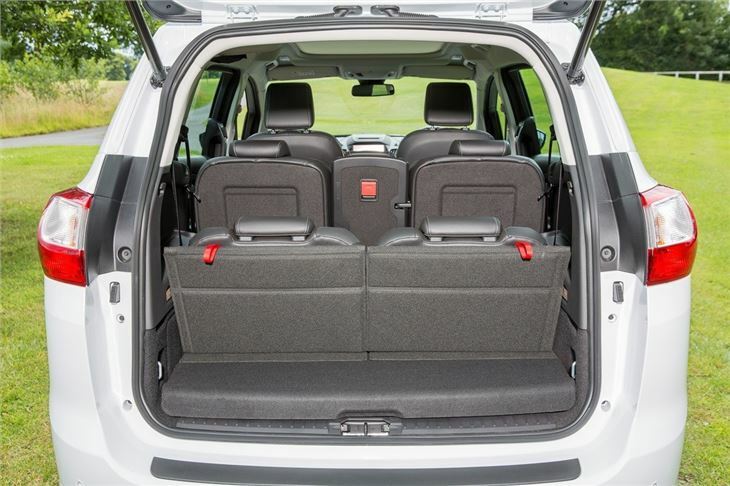 The two additional rear seats are simple to pull up from the boot floor using fabric straps and, while not suited to larger children, are fine for occasional use and short trips. They do more or less render the boot useless though – a Galaxy or S-MAX might be better if you need boot space and seven seats at the same time. 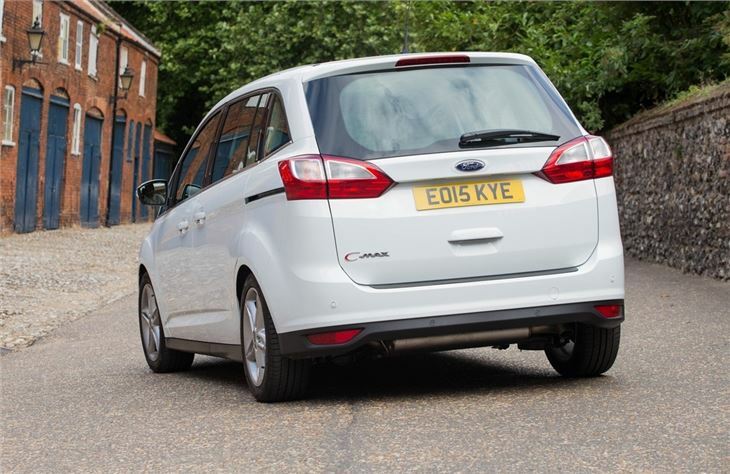 Like the standard C-MAX, the Grand C-MAX has sliding rear doors that make getting child seats in and out very easy. Plus they give great access in multi-storey car parks. The middle row of seats folds with a 40/20/40 split and is very spacious, with plenty of room for adults to sit in comfort. 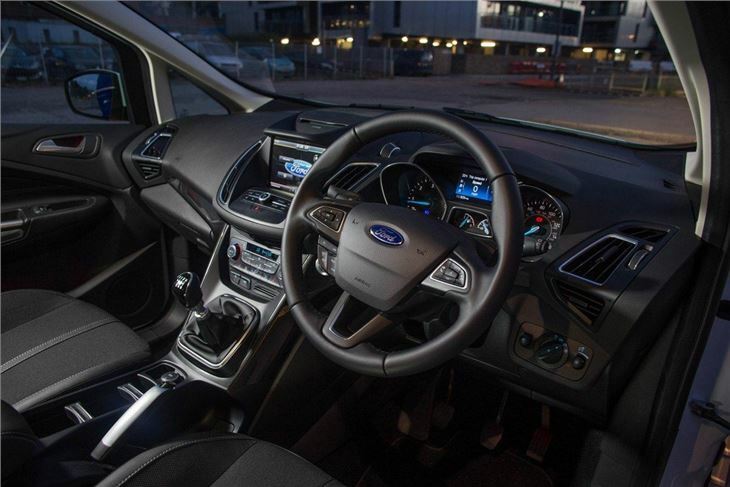 The engine range consists of two 1.0-litre EcoBoost petrol engines, plus 1.5-litre and 2.0-litre TDCi diesels. All four options are suited to the Grand C-MAX, although the entry-level 100PS EcoBoost might get out of puff if fully-loaded. The two diesels, with 120PS or 150PS, can both be specified with a Powershift automatic. 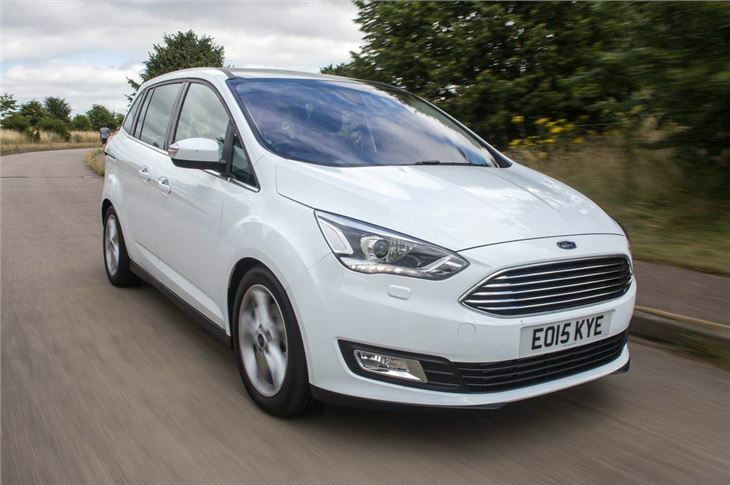 All of the engines have strong official economy figures of above 50mpg and even the most powerful 150PS automatic model has emissions of below 130g/km, so running costs should be low – just bear in mind the often poor performance of EcoBoost engines in our Real MPG section. 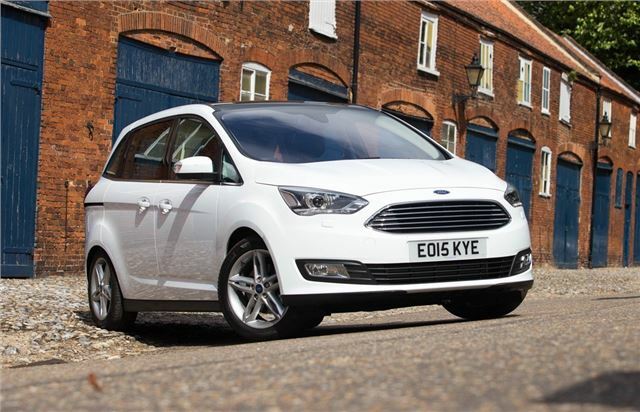 What really sets the Grand C-MAX apart from other MPVs is the way it drives. On the road it has excellent ride quality, yet it also has tremendous grip and great steering, making it surprisingly good fun for an MPV. It’s quiet and refined too, so is well suited to long distance journeys. 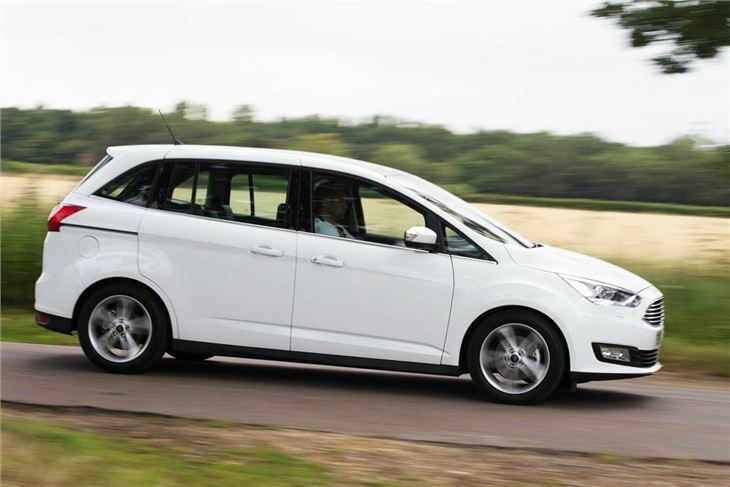 If you’re looking for a true seven-seater then the Ford S-MAX or SEAT Alhambra are a better bet, but if you just need some extra seats for occasional use the Grand C-MAX is great – it’s good to drive, cheap to run and has a practical cabin. Just remember that those two extra seats eat into boot space. Versatile and probably under-rated car. well built,economical roomy and modern. A mid-sized seven seater that's great fun to drive.